The Province unveiled its 2014 Budget this afternoon, saying it “delivers the core services Albertans expect, makes strategic investments in innovation to improve the lives of Albertans today and into the future, and strengthens new and existing infrastructure to address the demands of our growing province and economy.” Unfortunately, LRT was not deemed a priority as evidenced by the complete lack of commitment to funding its ongoing expansion in Edmonton and Calgary. The reaction from local leaders was disappointment, as expected. 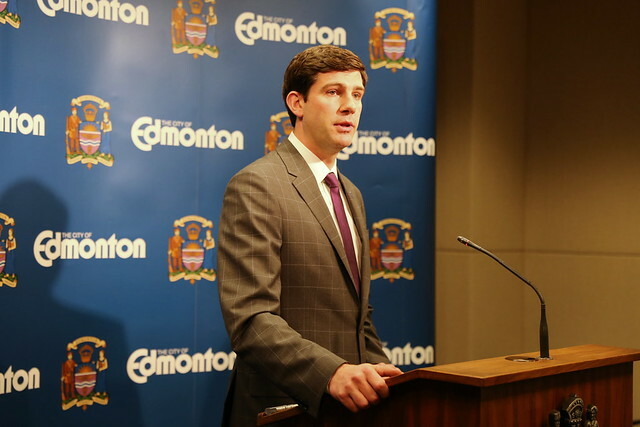 “There’s no new commitment to transit here,” Mayor Iveson said. There are two key risks the City faces by not receiving funding for LRT expansion from the Province. The first risk is that we miss yet another construction season, which could add around $65 million to the total cost of the project. The City has a deadline of April 30 to try to get all of the necessary funding in place. If that date isn’t met, then the completion of the Southeast LRT expansion by 2019 is in jeopardy. If there wasn’t already a trust issue between City Council and the Province, there most certainly is now. Conversations can only be considered productive if they actually lead to an outcome that all sides are happy with. If the Province wasn’t prepared to make a commitment now, they should have made that clear to the mayor and the rest of Council. You can read more about the Province’s Budget 2014 here.